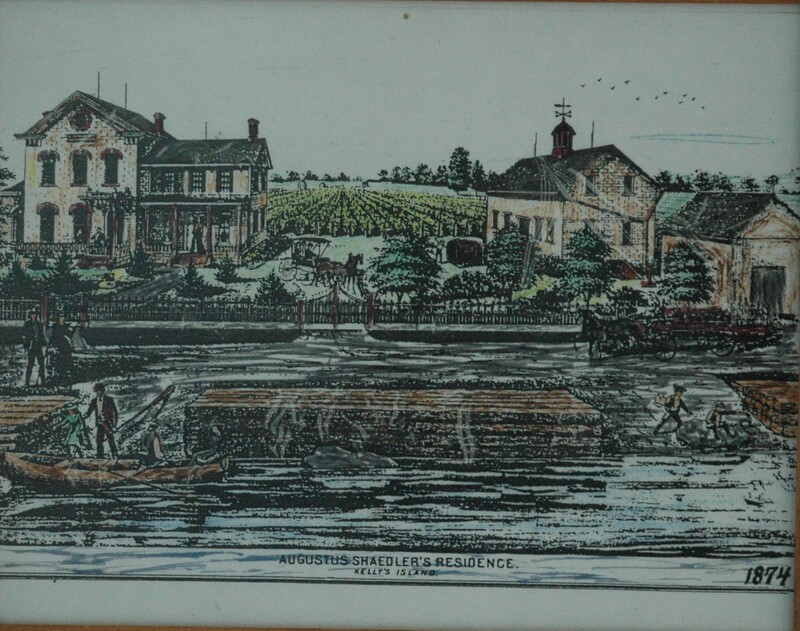 August Schaedler started his winery in 1866 on the southeast shore of Kelleys Island. His wine cellar had a capacity of 20,000 gallons. By 1879, he was producing 12,000 gallons of wine per year. He built a second wine cellar in 1890 that gave him a total wine storage capacity of 55,000 gallons. In 1892, Louis Rhein, a wine maker from France, became an equal partner with Schaedler in the wine business. With a wine storage capacity of 80,000 gallons, their company was one of the largest producers of wine on the island. The 28 acres of vineyard the company owned produced one third of the grapes they needed to produce wine. They grew mostly Catawba and Delaware vines. About 1900, the Schaedler Winery became part of a group of wineries that was known as the Union Wine Company, established in 1863. The Union Wine Company ceased operation in 1911. The winery closed during Prohibition and while closed, both Schaedler and Rhien died. The winery never reopened. The August Schaedler Winery now houses the Kelleys Island Historical Preservation Corporation, and is open to the public by appointment.